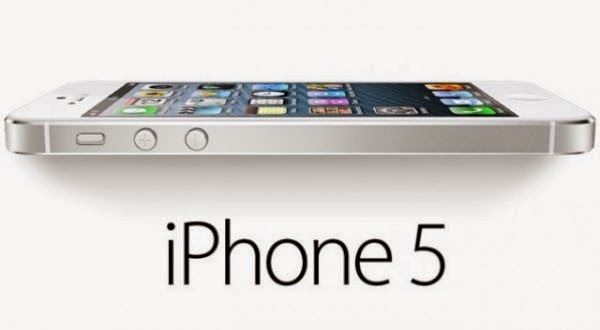 Last week, we've published the first part the article that summed up and tackled five common problems with Apple's iPhone 5S along with the available solutions and workarounds for each of them. And now we've come up with the second part of that content, with another five problems, encountered by a number of iPhone 5S users. We also include a few recommended workarounds and solutions that will potentially help you resolve each one. Among the issues that are being tackled in this content include typing lag, unable to use personal hotspots, dysfunctional microphone, noisy/rattling buttons, as well as battery drain and overheating issue with the iPhone 5S. This issue emerged after the iOS 7.1 update. According to those who have complained about typing lag issue with their iPhone 5S, when typing some texts, they've noticed that it would take around five seconds for each letter to show up on screen. We've managed to find a solution that worked fine for some of those who have had this problem with their iPhone 5S. All they did was a phone reset. To reset your iPhone, hold down the Sleep/Wake and Home buttons simultaneously. If a phone reset doesn't work, try to reset keyboard dictionary on your device. To do this, tap Settings, select General, tap Reset, and finally tap Reset Keyboard Dictionary. Wait until the keyboard dictionary reset is complete, and test to see if the problem is already solved. Similar to the 5-second typing lag, the problem on using the iPhone 5S personal hotspots also transpired after upgrading to iOS 7.1.
c. Select Personal Hotspot. You can also try to turn this feature on or off. 2. Once you've verified Personal Hotspot is already active or enabled on your iPhone, check the Internet connection. Try to load a new webpage on your Safari browser and see if you can navigate to that page. If you can, then your Internet connection is fine. Otherwise, try to switch connections like use Wi-Fi, USB or Bluetooth. d. Select Reset Network Settings. If the issue remains, your last resort would be an iPhone restore. But before you restore your device, be sure to back up all your contents and settings using iTunes to your computer. Also don't forget to disable Activation Lock. You can turn off Find My iPhone in Settings, then going to iCloud on your device. Please remember that restoring iOS software will erase or delete all your data and device contents, including videos, contacts, photos, songs, and calendar info. For this reason, creating a backup is highly advised before you begin the process. To restore an iOS device, it highly recommended to use the latest version of iTunes. When everything is set, you may now begin. 1. To get started, connect your iPhone 5S to your computer using the cable that comes with it. 2. Select your iPhone when it shows up in iTunes. 3. Click the Restore button for your device in the Summary pane. 4. To confirm that you want to restore your iPhone, click the Restore button. After you do so, iTunes will then initiate download of the iOS software file and restore your iPhone. 5. Wait until the iPhone restore is complete. Once finished, your device should already be restored to factory settings. Typically, your phone will restart and then you'll see the "Slide to set up" welcome screen. Just follow the on-screen instructions to complete the iOS setup assistance process. You may opt to set up your iPhone as new or use your previous backup. After you restore your iPhone, cellular service will activate, if your phone has it. If your iPhone has cellular service, but doesn't acticate after restoring, then you have to fix activation issues first. In case your iPhone restarts repeatedly or is not responding while trying to restore, put it into recovery mode and restore it again. If you get an error message after or during the iPhone restore, take note of that error message or code and use it for further troubleshooting. There have been lots of complains from users of iPhone 5S, about the microphone that is not picking up their voice clearly, cannot record voice notes in certain apps, or voice can't be heard during calls. Microphone issues with the iPhone 5S can be due to many reasons. 1. Ensure you have removed any possible barriers, like the protective film from the screen. 2. If the problem occurs only when using a specific app, then ensure it has permission to use the microphone. Go to Settings->Privacy->Microphone, and check. It is also possible that the problem is due to your case that is interfering with the noise cancelation feature. In this regard, try to use your iPhone 5S without the case, or go to Settings->General->Accessibility, and then turn off or disable Phone Noise Cancellation option. Check if this makes a difference. The problem is on the Home button that clicks so loudly and the Power button rattling when the iPhone is shaken. Some people have gone to getting replacements while others have tested iPhone 5S handsets but only to end up having same exact problem when the device is shaken. Having this said, the noisy and rattling buttons on the iPhone 5S are just doing the way they're schemed. The power button that you press with your finger will hover in place over an internal button. Because the power button is loose, it can move down when you press, which result to a slight space. This slight space lets minute movement when you shake your device. This is present in all iPhones made, so far. While this is indeed so annoying, truth is that only Apple can fix the problem. Some people have reported their iPhone 5S is overheating. This issue is associated with the phone battery and goes along with battery drain. Rare cases of overheating is due to a faulty hardware but others have this problem after upgrading to iOS 7. Some have encountered this problem when using certain app. 1. Reboot your iPhone 5S. Press and hold the Sleep/Wake button and the Home button simultaneously. 2. When using your iPhone, carefully observe and note about what you're exactly doing when it overheats again. Doing so, will help you identify the main cause of the problem. 3. An optional suggestion we have is to try an app like System Activity Monitor to help you trace the main culprit. Such app is available for $2. If problem persists, you may contact Apple support and escalate your problem for further troubleshooting assistance. You may want to check out the first part of this article we've published earlier in this site.